I always like to get email and notes from photographers who use information gathered here on FR or who use the products I make for their artworks… I just received this email and photo (see below) from Richard Selwyn… very cool… literally! 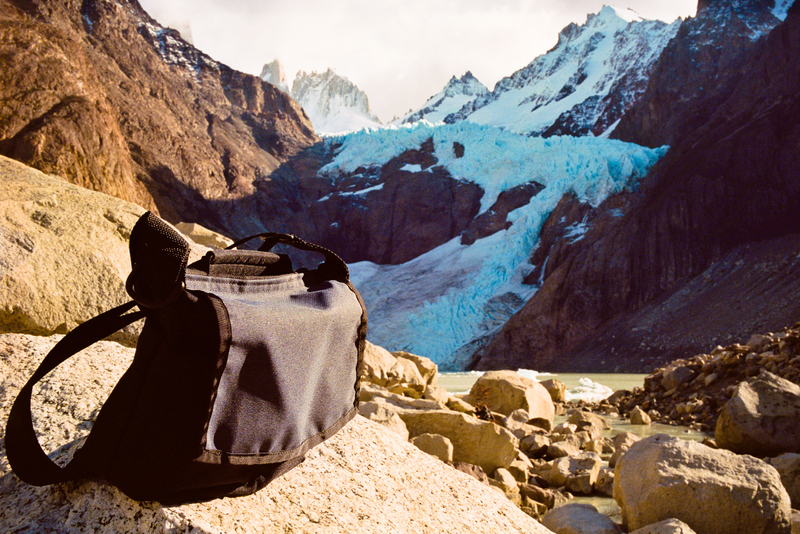 Richard’s Email Text: A few photos for you from Argentina, Patagonia (ektar 100 film, 35mm lux or WATE). We had a great time and your bag was amazing. Was really harsh conditions – trekking in winter with some v bad weather. The bag worked beautifully and was even better because it is so light and hard wearing. Thanks also for sending the bag through to me quickly.